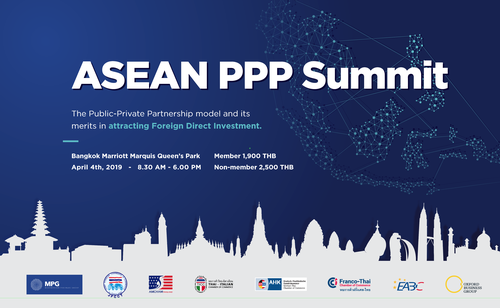 AMCHAM, together with Mahanakorn Partners Group, TICC, JFCCT, GTCC, FTCC, EABC, and Oxford Business Group, is delighted to invite you to the leading regional forum on infrastructure investment in Southeast Asia. The exclusive one-day conference will host an audience of international investors and professionals, with the aim of attracting foreign direct investment and fostering business opportunities in ASEAN. Corporate sponsorships for this event are available. For more information, please contact sheree@amchamthailand.com.